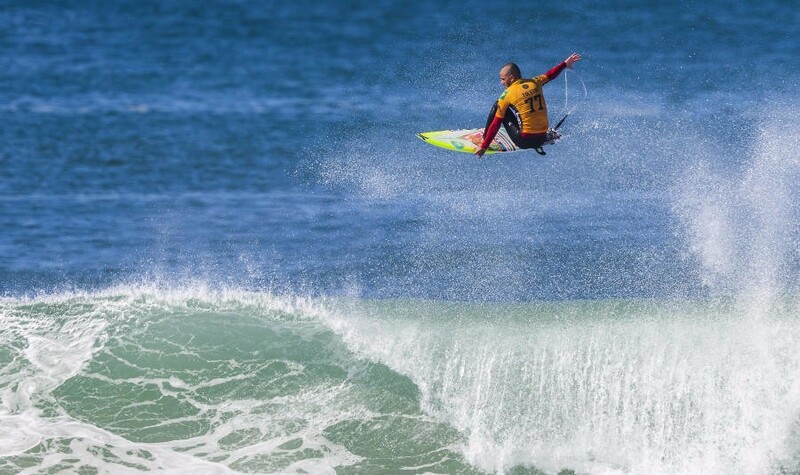 The 9th stop on Men's Championship Tour, 2018 Quiksilver Pro France kicked off at Landes in Nouvelle-Aquitaine on October 9, 2018. 2018 CT has three events left, including Quiksilver Pro. Currently, Filipe Toledo (BRA) sits at No.1 on Jeep Leaderboard, Gabriel Medina (BRA) is behind him by 4,100 points. Julian Wilson (AUS) is 3rd with 37,125 and Italo Ferreira (BRA) is 4th with 31,825. Four competitors have still a opportunity of World Title, each. 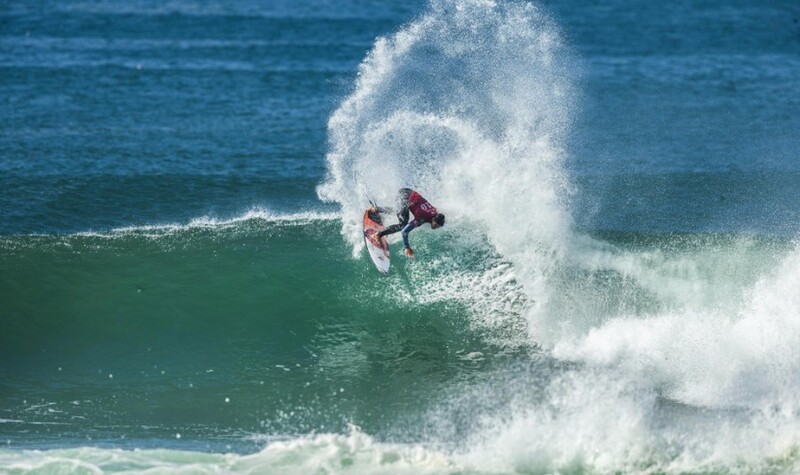 Especially, Filipe Toledo, Julian Wilson and Italo Ferreira try to take their first World Title. The Round 1 was delayed 15-minute due to weather condition, finally it started in 5-6 foot (2 metre) waves. Julian Wilson, who earned the best score of the day with 8.50 points, Gabriel Medina and Italo Ferreira advanced directly to Round 3, but Filipe Toledo lost Round 1. However, Filipe Toledo defeated Jorgann Couzinet (BRA) in Heat 1 of Round 2 and survived in the champion race. "You can't afford to grow into the event, let alone heats," Julian Wilson explained. "If you see an opportunity you have to hit it early. Performance surfing is very achievable out there even if looks like a tube-fest. You get to throw the dice a lot so you can always give yourself opportunities to try some fun stuff." "I'm doing what I love, I'm doing it well and I'll just keep on focusing on myself," Gabriel Medina said. "If I surf well and win events and I can win the Title. There's no real need, as I said, I'm just interested in my own game." "My board is the same board I rode when I won at Bells Beach this year," Italo Ferreira said. "The waves here are powerful and great for my backhand so it worked. It was hard to find the barrel out there so I tried to move fast and surf as hard as I could." "If you get that one really good wave early, then you are set for the heat, but that didn't happen for me," Filipe Toledo said. "However it's part of the game. I've had bad heats this year and came back to win Finals. There's no stress at all. I'll get ready, rest and reset for the next heat."